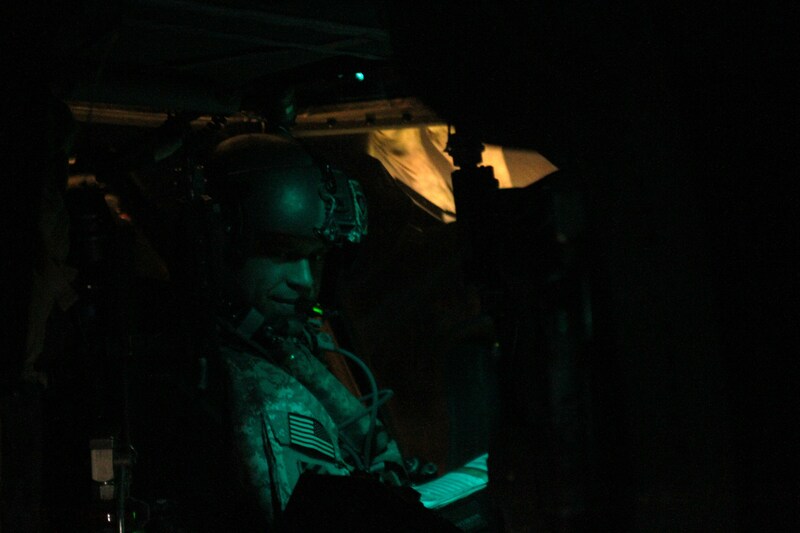 A Blackhawk pilot with TF Brawler prepares for take off during a night air assault operation in Charkh Valley, Afghanistan. The helicopters of Task Force Brawler inserted a battalion of Coalition Soldiers from the 173rd Airborne Brigade at the end of September, 2010 into multiple locations around the valley in an effort to take pressure off the district center and the Allied base there. The area was under such intense Taliban pressure that the ballots cast in the national election the week before could not be removed from the district center until after this operation was completed.